Cloud PBX saves on Telephone costs, we at Compudynamics in partnership offer a cloud PBX solution for Small, Medium and Large enterprises. 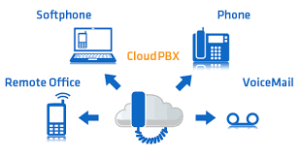 Below a list of some of the features available on the cloud PBX solution. All your branches are linked via the cloud, different location staff are now just an extension. have to customise anything you don’t want to. offline, on hold or away. quiet ones, or pause for specified reasons like tea breaks. extensions or internal numbers only. so you can take your office with you, wherever you go. share your PBX with another office. can be set individually to be manually activated or time based. delivered as a sound clip to your email inbox. phoned you, as well as which of your numbers they chose to dial. also highlight problem clients who might need extra attention. flexibility to use the information any way you like. for peak periods, and aren’t over-staffed when it’s quiet. response times, queue lengths and peak activity periods. productivity and encouraging a healthy work ethic. We happy to discuss and show how the system can help you and your business.